Summer is finally here! Check out our FREE upcoming events and programs below. Save the Harbor/Save the Bay believes that the best way to "save the harbor" is to "share the harbor." 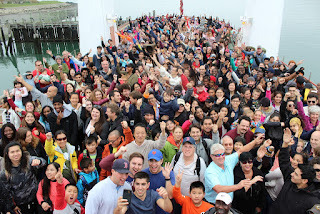 Boston Harbor is an incredible urban natural resource that everyone should have access to. We are excited to offer the below events in order to bring everyone out on the water and to our region's urban beaches this summer and beyond! To join us at any or all of these events and programs, register at the links below. Enjoy an interactive presentation about Boston Harbor’s history and the marine environment featuring touch tanks, storytelling, and art. On the islands, program participants explore the environment and take part in activities led by our program staff including hiking, sports, fishing, fort exploration on Georges, and archaeological treasure hunts on Spectacle. Share the Harbor is funded in part by Mass Humanities, which receives support from the Massachusetts Cultural Council and is an affiliate of the National Endowment for the Humanities. 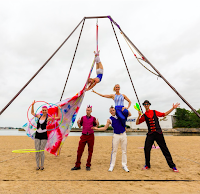 FREE events on our region’s public beaches, featuring aerialists, acrobats, jugglers, performing pirates and Songs and Stories of the Sea, Art on the Shore, beach games, refreshments, and more! All Save the Harbor's free youth environmental education and family programs are made possible with Leadership Grants from Bay State Cruise Company, Blue Cross Blue Shield of Massachusetts, The Boston Foundation, The Coca-Cola Foundation, and Distrigas/ENGIE. Save the Harbor is grateful for Partnership Grants from Boston Properties - Atlantic Wharf, Eastern Salt Company, Inc., Fan Pier - The Fallon Company, John Hancock Financial Services, The HYM Investment Group, LLC, The Llewellyn Foundation, Massachusetts Bay Lines, Massachusetts Convention Center Authority, Massachusetts Port Authority, National Grid Foundation, P&G Gillette, Lawrence J. and Anne Rubenstein Charitable Foundation, William E. & Bertha E. Schrafft Charitable Trust, Vertex, and The Yawkey Foundation. Save the Harbor also appreciates Stewardship Grants from The Paul and Edith Babson Foundation, Forrest Berkley & Marcie Tyre Berkley, Blue Hills Bank Foundation, Blue Hills Bank Pavilion, Camp Harbor View Foundation, Circle Furniture, Comcast, Copeland Family Foundation, Inc., The Cricket Foundation, Cronin Group, LLC, The Daily Catch Seaport, Elizabeth Elser Doolittle Charitable Trust, Enbridge, Tom & Lucinda Foley, Foundation for Sustainability & Innovation, Liberty Bay Credit Union, Lovett-Woodsum Foundation, Maine Community Foundation, Mass Humanities, Massachusetts Water Resources Authority, Nicholson Foundation, RMR Real Estate Services, Clinton H. & Wilma T. Shattuck Charitable Trust, Skanska, South Boston, Community Development Foundation, Abbot & Dorothy H. Stevens Foundation, and Tishman Speyer. Save the Harbor would also like to thank our Program Funders 3A Marine Service, Andus Baker & Rowan Murphy Family Fund, The Bay State Federal Savings Charitable Foundation, Beacon Capital Partners, LLC, Boston Bruins Foundation, Andrew J. Calamare & Marianne Connolly, CannonDesign, Circle Furniture, Kevin & Dee Colcord, Dark Horse Capital Partners, Diversified Automotive, Eversource, Tom & Lucinda Foley, Fort Point Framers, Goulston & Storrs PC, Legal Sea Foods, Miss Wallace M. Leonard Foundation, George Lewis - Haven Trust, Liberty Bay Credit Union, Mass Bay Credit Union, Massachusetts Marine Educational Trust, National Park Service, Randy Peeler & Kate Kellogg, SKW Partners, Inc., Abbot & Dorothy H. Stevens Foundation, Storm Duds, Matthew J. & Gilda F. Strazzula Foundation, TD Charitable Foundation, UDR, Kyle & Sara Warwick, and Winthrop Parks and Recreation. Special thanks as well to the hundreds of individual donors for their generosity and to our partners at the Department of Conservation and Recreation, the Metropolitan Beaches Commission, the Boston Centers for Youth and Families and the YMCA of Greater Boston for their support. Let's go fishing! SHE saying Hey! 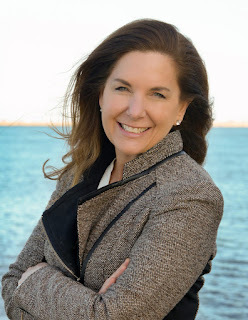 From Scripps to Senior Harbor Educator... HEY!